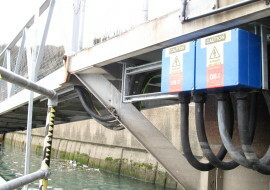 Marina Power Distribution, Design, Installation and Testing. 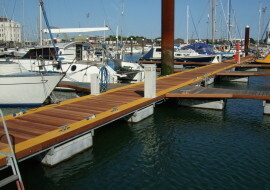 Holbrook Revell Electrical have many years experience working in marinas. 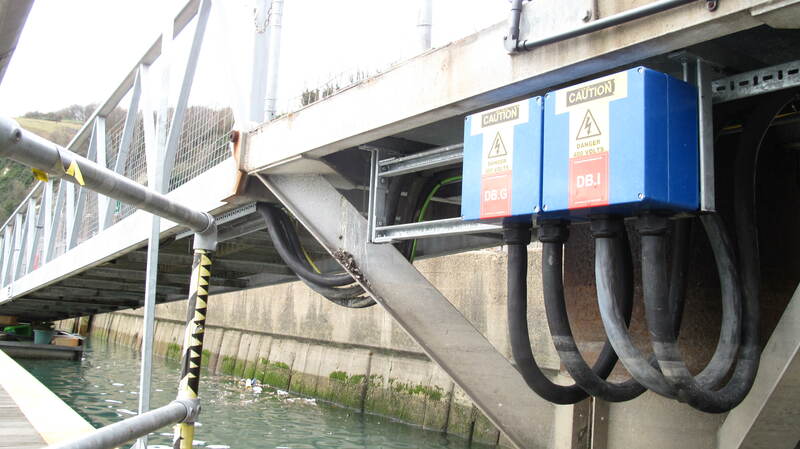 We started out by carrying out inspection & testing which is required annually in these specialists environments. After this we started to offer call out and repair services. These were successful and we then implemented a plan for design and installation of new electrical distribution systems. 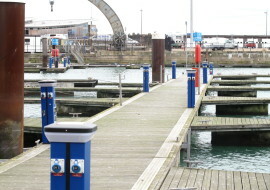 These are one of the most expensive areas of marina installation and planned maintenance. 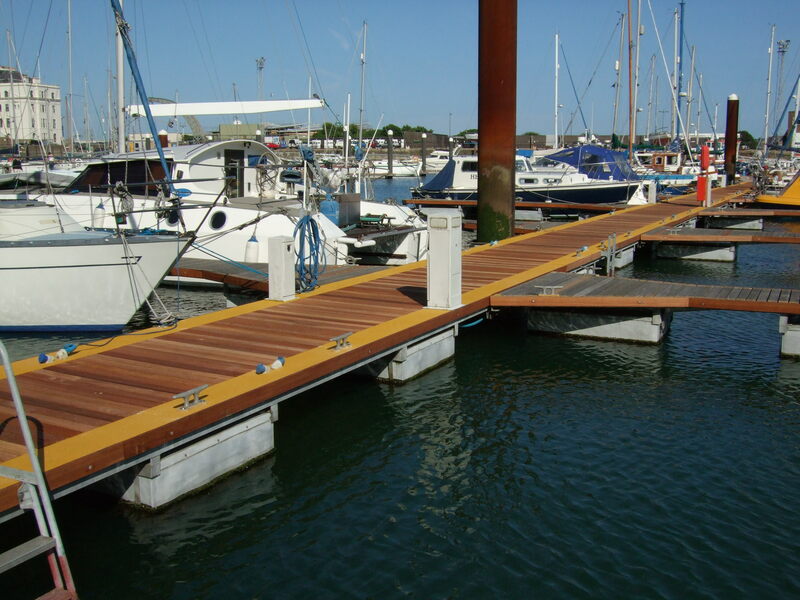 Our designers take into consideration factors such as climate, condition, boat traffic and types, local markets and the latest trends and technologies available. Holbrook Electrical can recommend and install a range of smart metering and Pre-pay solutions for Marina and Caravan Park operators. 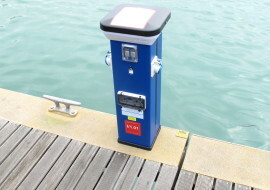 Holbrook Electrical have installed Meter-Macs in 2 locations at Ramsgate Royal Harbour and throughout the entire Marina areas at Dover Harbour Board. Taking all of these factors in to account will contribute to creating an efficient and robust electrical system. As well as designing & maintaining electrical distribution panels, HRE can also provide fixed or portable main & sub main distribution systems to IP65 & ATEX standards and being an NICEIC contractor the peace of mind that the system will be tested and certified to the highest standards. HRE specialise in this area of work and offer a wide range of materials for the client to choose from. 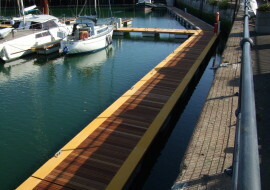 Pontoons like any other equipment placed in a harsh environment start to degrade and wear out from day one. 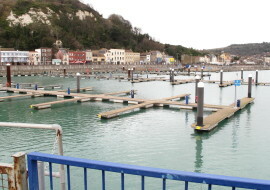 Most pontoon framework is made from galvanised steel. The frame and float should give a service life of at least 30 years. 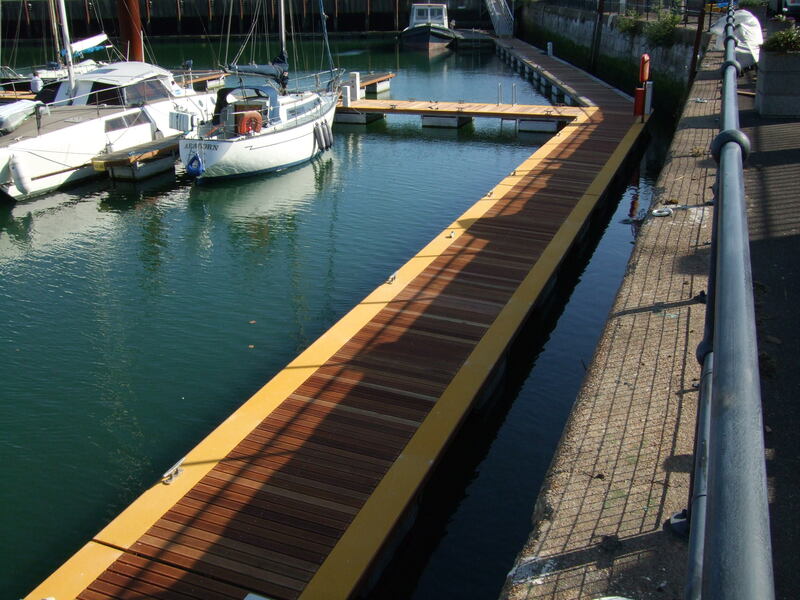 The answer to upgrading your facilities is to get HRE for the decking, fenders and service covers. 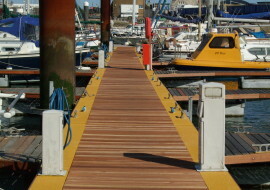 We work with hardwood, GRP and composite recycled materials to give you a wide choice of styles and finishes. 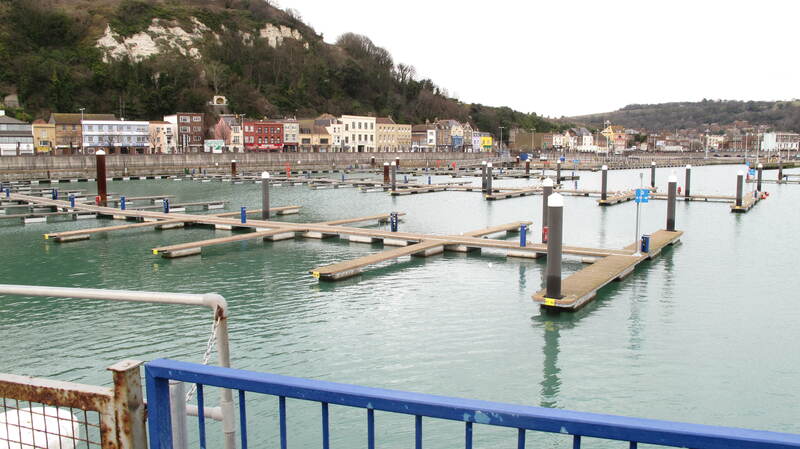 We have recently completed a major refurbishment for Dover Harbour Board. 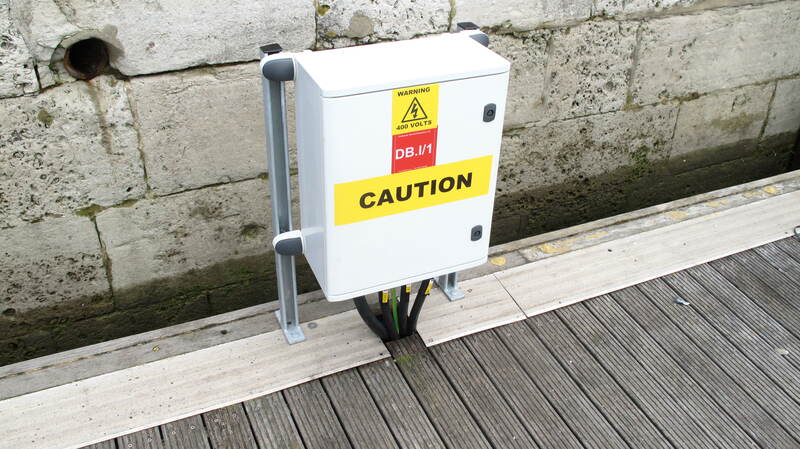 We can also refurbish cable service ways and tray work to old pontoons to allow for upgrading and installation of new services as required. 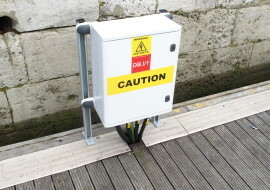 Holbrook Electrical have also won a prestigious project to install GRP decking to the brows at both Embankment and Westminster Piers in London for London River Services a wholly owned subsidiary of Transport for London. While upgrading we can repair/ replace any pillars / sockets etc the client wants changed at minimal cost to offer a truly universal refurbishment solution. The best reason for this is you deal with one contractor responsible for all work to be completed no delays caused by other companies or contractors trying to work in the same location. 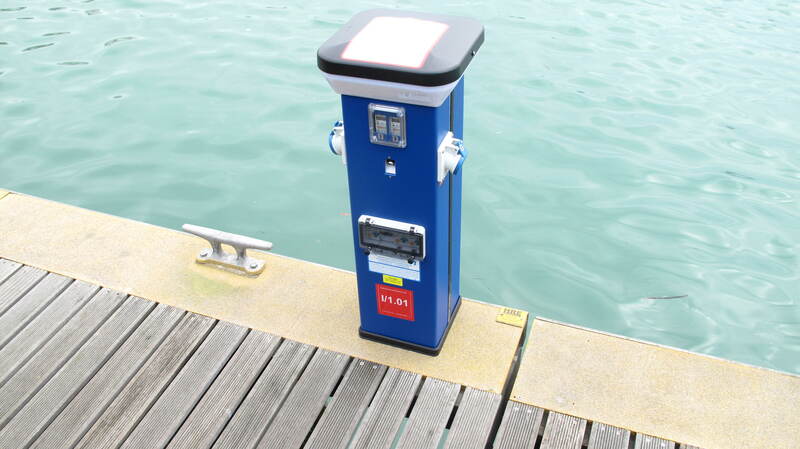 We can also provide a wide range of marina service pillars, Fire hydrants, life buoys, Pump Out pillars, Water supply pillars & many others. Whatever your requirements please contact us and we will be able to help you with your requirements. 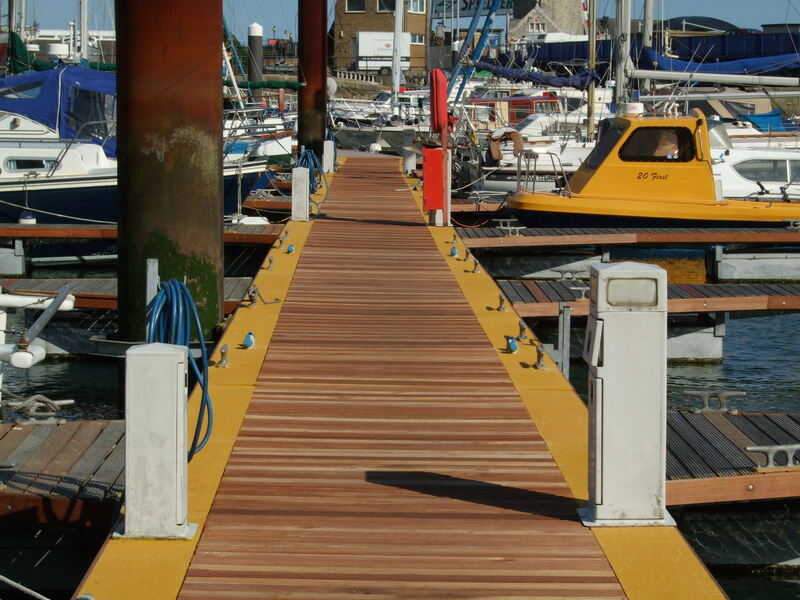 HRE specialise in design, installation & power distribution of complete lighting scheme’s for port, harbour & marina environments. Whether you have need of a new scheme or an upgrade we are able to assist with all your requirements. We can also carry out planned maintenance service for lighting schemes and also fulfil mechanical and engineering remedial works and installations as well as any electrical requirements. Climbable and winch down lighting columns are available as well as large range of street light columns and fittings in a range of finishes. 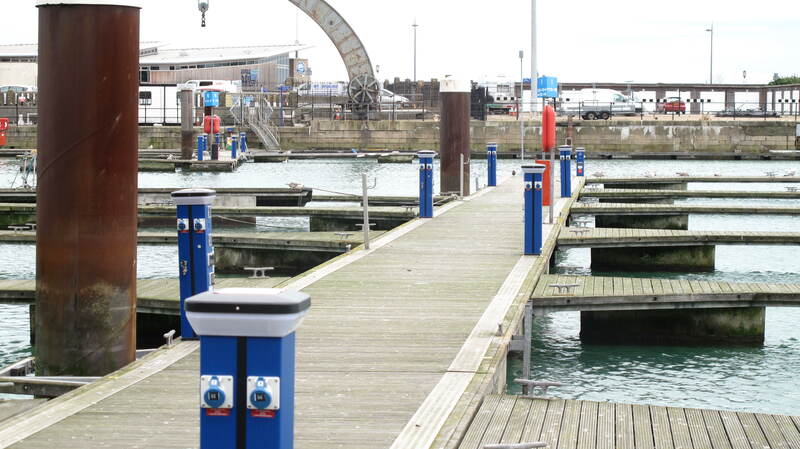 We can also supply and install a wide range of LED lighting both internal and external and have carried this type of work out in a wide range of environments and locations such as Ports, Harbours, Marinas Piers, Schools andHospitals. Please ask us for details of the range of fittings and equipment we can supply. We can also do a power saving survey and give you cost of ownership projections based on power saving ideas.